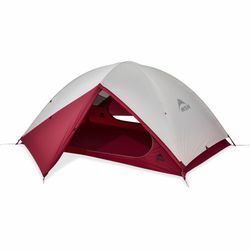 MSR Zoic 2 Backpacking Tent. New for 2019. Stay cool and comfortable on warm nights in the wilderness with this ultra-breathable, spacious tent designed to help you rest up for more productive days of adventuring. Light enough to take into the backcountry, the Zoic 2 offers a lot of extra space for stretching out and storing gear. Great for first-time and warm-weather backpackers, the Zoic tent can go from trailhead camping to remote mountain lakes with ease, and its easy-pitch design allows for more time to hang out with friends or to enjoy the scenery. Two doors and two gear lofts make for convenient access and gear storage.